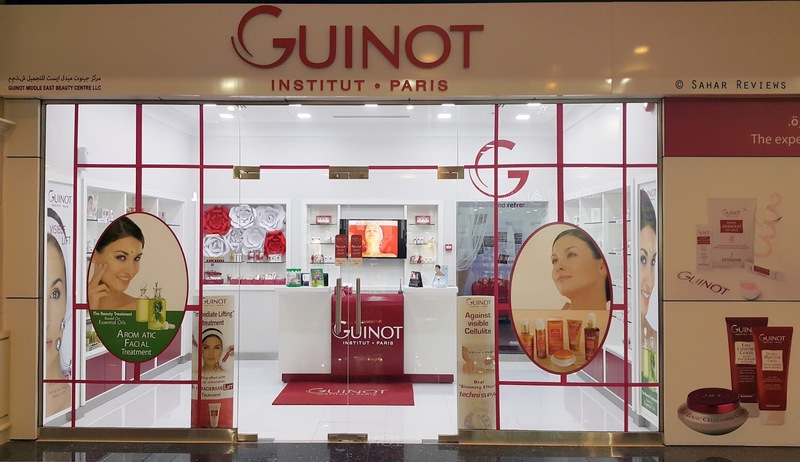 Last week I was invited to try the Guinot Hydradermie Deluxe Treatment, at their Etihad Mall branch in Mirdif. 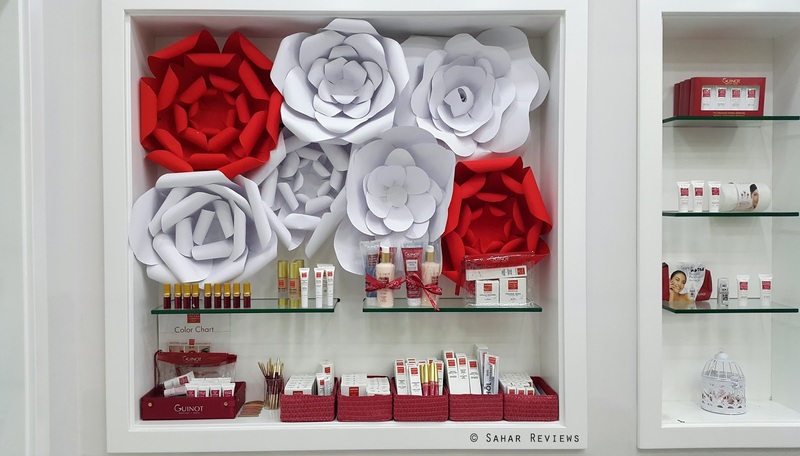 At the salon reception, I was welcomed by their friendly staff who gave me a much-needed update on the latest skincare trends and new product lines added to their collection. Then I was introduced to Florence (the beauty therapist) and was escorted to one of their private treatment rooms. Before starting the treatment, we had to fill in a form about medication, skincare concerns and allergies. 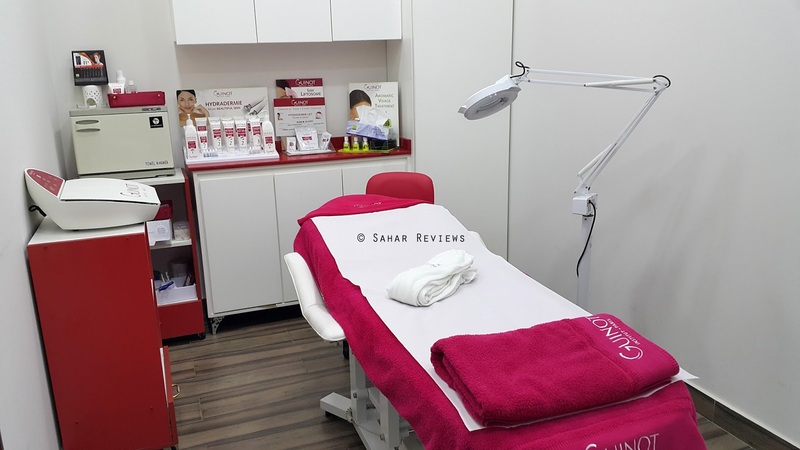 As she filled in the details, I was explained how each facial treatment is customized to suit the client’s skin type. 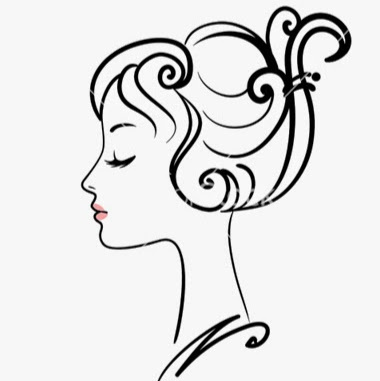 For us, she recommended the treatment which is the most sought after, the Hydradermie Facial; which is exclusive to Guinot. The treatment begins with the esthetician cleansing and gently exfoliating the skin to remove any makeup. The exfoliating cream used (~ Gommage Eclat Parfait) was by far one of the most gentle ones that I’ve ever used. The extraction was near painless, which was impressive. Once the skin is prepped up, the machine comes into play. 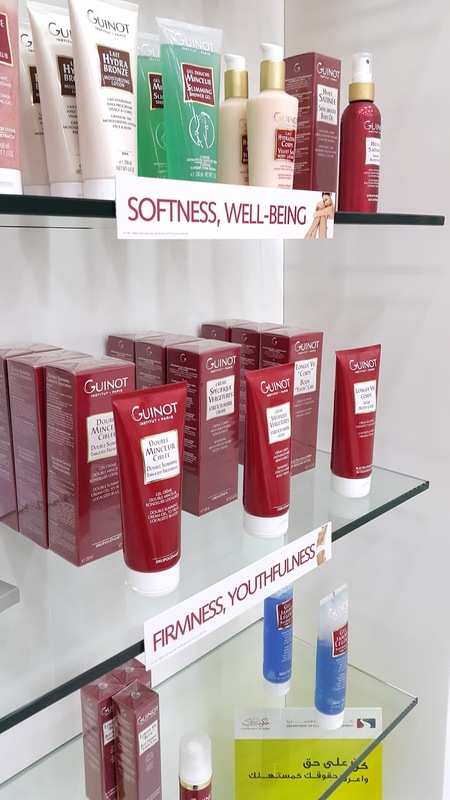 Unique to Guinot, is the Hydraderm machine – and when used together with the Guinot products it helps cleanse, oxygenate and regenerate the skin. The treatment uses both galvanic and high frequency. The therapist then applied a layer of specific gels according to the skin zones. Then she moved the (+) and (‒) metal roller balls over the face, with a pre-set frequency. 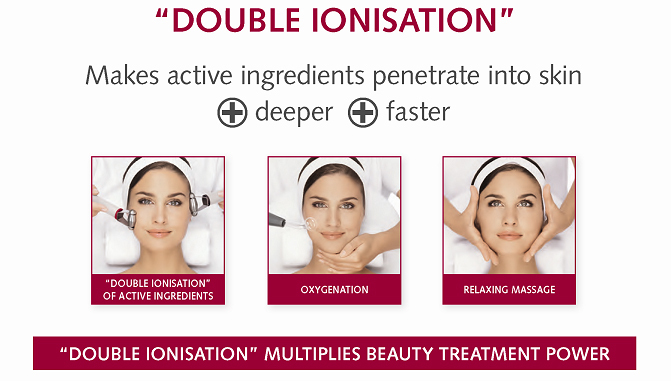 The positive charge does the deep cleansing and the negative charge pushes the treatment products deeper into the skin. When used together, the collagen layer gets stimulated and improves the appearance of wrinkles and fine lines. Since the treatment is customized based on client’s skin type, it doesn’t matter if you have an oily/combination or dry/sensitive skin. Additionally, because the high frequency current converts some of the oxygen in the air to ozone, the treatment has a mild germicidal effect. This entire process is done 4 times across the face and neck. Then she switches the rollers to make sure both sides of your face get balanced ionisation. During the process, you can hear the sound of the current which may feel worrying to begin with, but it’s completely pain free. A customized mask and relaxing massage completes the treatment, leaving your complexion balanced, rejuvenated and glowing. 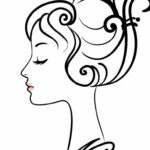 The invigorating facial massage with the therapist’s gentle even strokes and pressure point stimulation eases out the tension around the jawline and the contours of your face. This was a facial experience well worth it!